Peter J. Ryan ; Steven A. Cornelissen ; Charlie V. Lam ; Paul A. Bierden, “Performance analysis of two high actuator count MEMS deformable mirrors,” Proc. SPIE 8617, MEMS Adaptive Optics VII, 861705 (March 5, 2013); doi:10.1117/12.2005299..
Thayne Currie, Olivier Guyon, Frantz Martinache, Christophe Clergeon, Michael McElwain, Christian Thalmann, Nemanja Jovanovic, Garima Singh, Tomoyuki Kudo, “The Subaru Coronagraphic Extreme Adaptive Optics Imager: First Results and On-Sky Performance,” Cornell University Library. Alexis Hill ; Steven Cornelissen ; Daren Dillon ; Charlie Lam ; Dave Palmer ; Les Saddlemyer, “Flexure mount for a MEMS deformable mirror for the Gemini Planet Imager,” Proc. SPIE 8450, Modern Technologies in Space- and Ground-based Telescopes and Instrumentation II, 84500H (September 13, 2012); doi:10.1117/12.926842. Left: Example of wavefront error (WFE) that the 4K-DM is expected to see due to atmospheric turbulence when the instrument is installed on the Gemini telescope. Center: The controlled DM shape to correct for the WFE. ​For more on-sky information click here. The 3K-DM: Included in the design for multiple space telescope concepts. Also available in a Hex -TTP (Hexagonal Tip-Tilt Piston(pictured: right). The 2K-DM: ​Currently installed as an enabling component in the Subaru Coronagraph Extreme Adaptive Optics (SCExAO) Instrument. 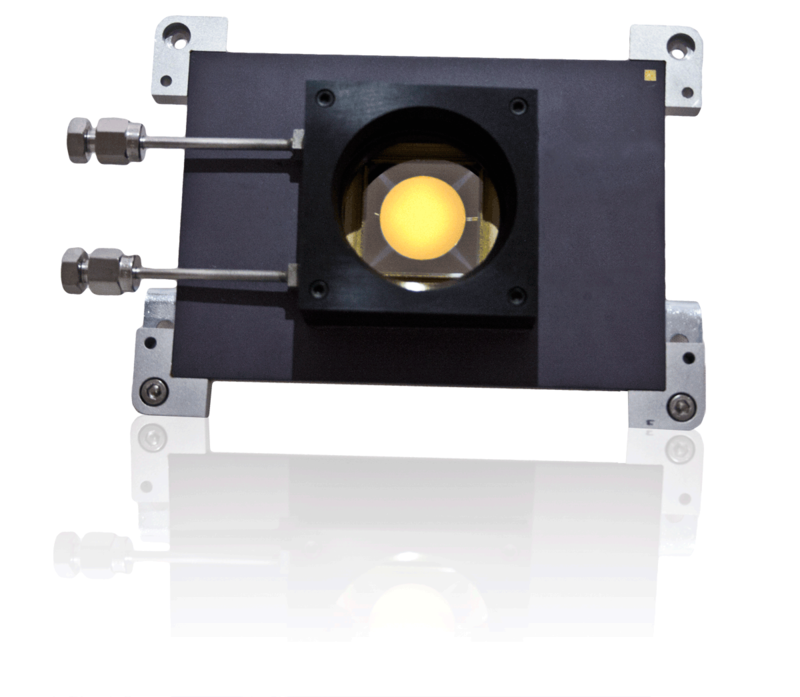 The +K-DM Family: High spatial resolution wavefront correctors for next generation applications in astronomy and laser communications. Boston Micromachines Corporation is leading the industry in high actuator-count MEMS deformable mirror technology. These mirrors are fielded at prominent astronomical facilities around the world to improve wavefront correction capabilities, enabling cutting edge science. Scroll down for more information on options.